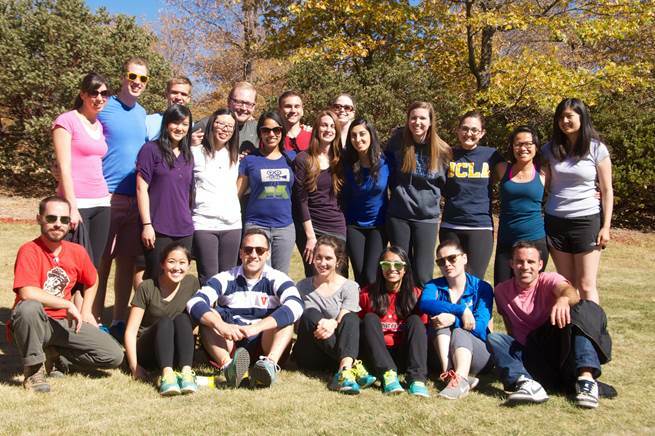 Taking the time to bond with fellow residents outside of the clinical environment is critical to the learning experience and culture of Graduate Medical Education at UCLA. Each residency program is designed to meet the unique requirements of the particular specialty, and UCLA ensures a safe and supportive environment for all residents. 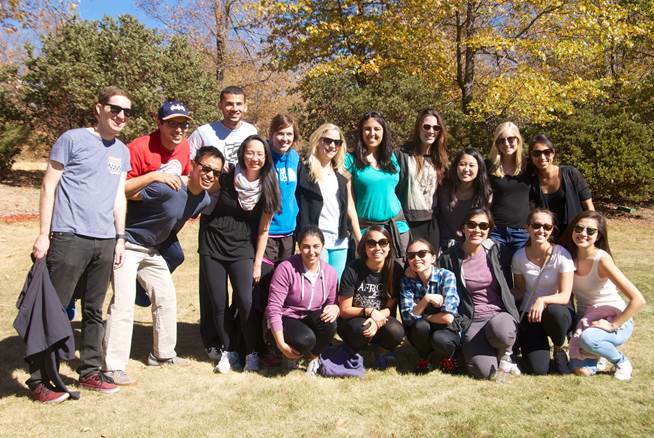 Annual recurring Resident Events help to create this supportive, team-building experience in the differing departments. 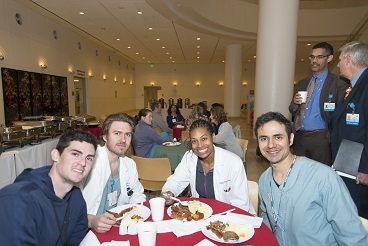 All UCLA residents and fellows are invited to attend the Resident Breakfast events, hosted quarterly at UCLA Ronald Reagan Medical Center or a UCLA-affiliated hospital. 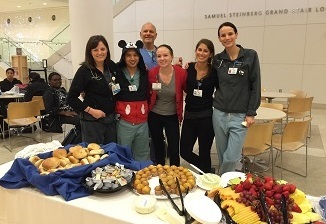 This is a great time for trainees to build relationships with hospital leadership, GME staff, and one another in a fun and relaxed environment. 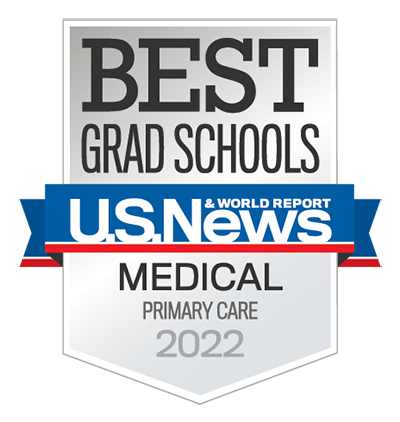 RRUMC - scheduled for Wed., March 13th from 6:30-8:00 am at the physician's lounge in the UCLA Santa Monica Medical Center. Please contact the GME office for more information. 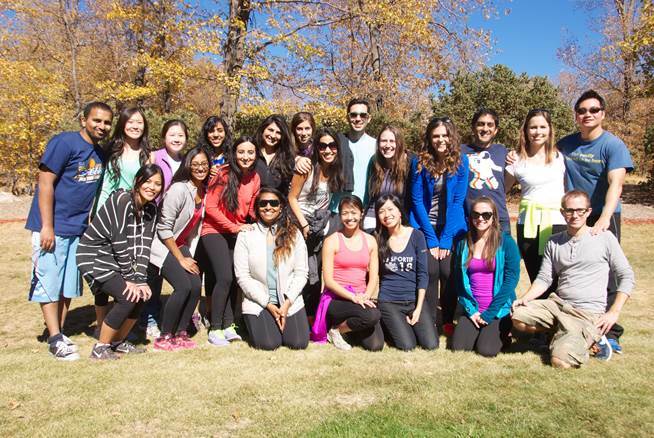 The UCLA Pediatric Residents Fall Retreat takes place at Lake Arrowhead every fall. 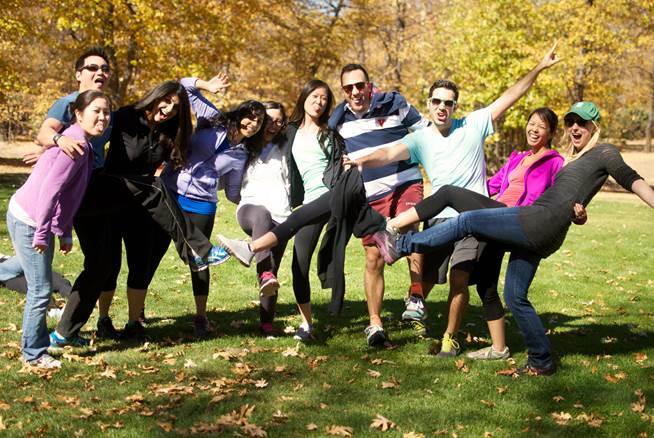 Team-building exercises are a staple of this retreat, but other components include program development, discussions on quality improvement projects, leadership skills building, and the annual costume party! As part of our ongoing effort to enhance and improve the quality of UCLA's resident education and training, we periodically hold a confidential town hall meeting with each core residency program. The meeting is held with the DIO, Kate Perkins, MD, PhD and Interim Director of GME, Lisa Payne. This session, which is offered to housestaff only, provides an opportunity to discuss various issues that directly affect residents' patient care and hospital service experience. 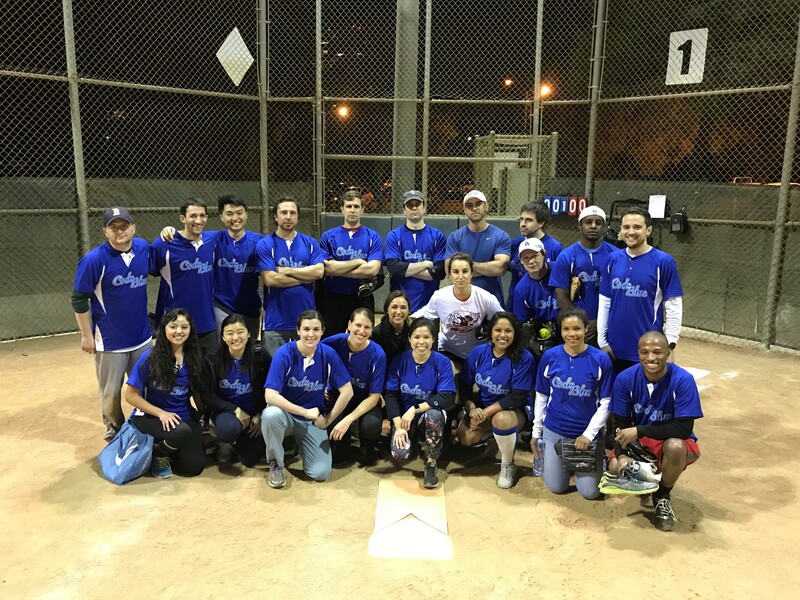 2017 was the first year, the GME office was delighted to sponsor a softball team composed of housestaff for the UCLA Health League. The regular season runs from April to July and playoffs are in August. We welcome housestaff from all programs and DGSOM alumni in the 2018 Season! If you are interested in joining the team and for more information please contact: Guadalupe Perez.